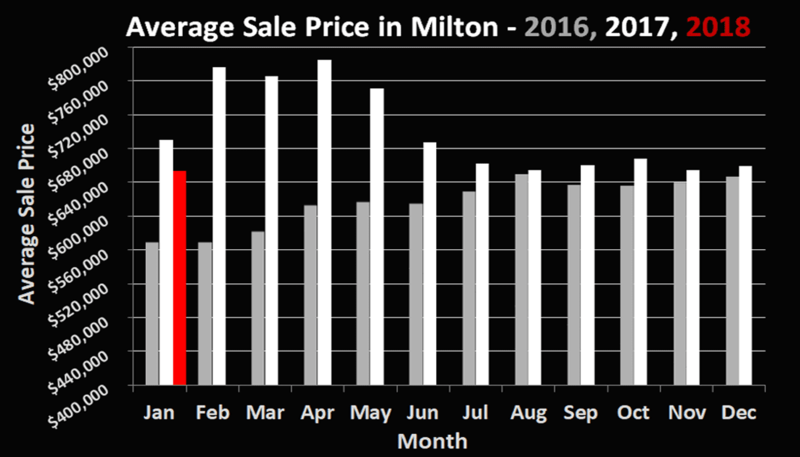 What does 2018 hold for Milton Real Estate? 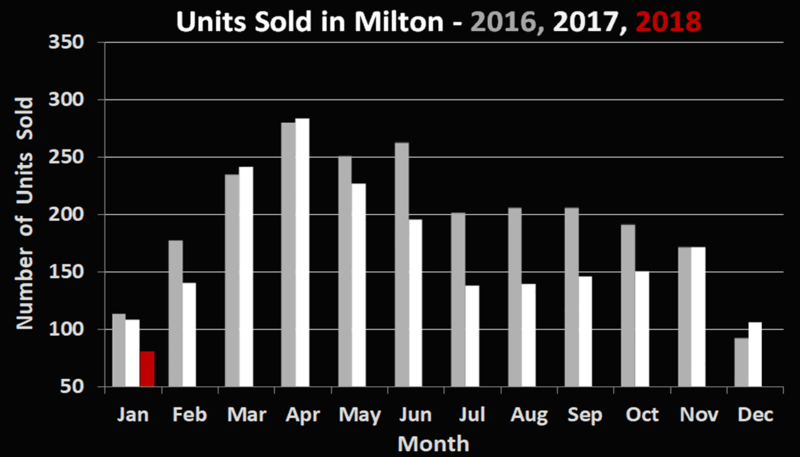 The Milton real estate market is off to a modest start in early 2018. Low inventory, combined with buyer uncertainty and new mortgage rules has caused a low volume of trades and relatively stable prices. The 81 residential sales in January 2018 represent a substantial 25.7% decrease in volume over the same figure for January 2017. The average price of $653,100 is down 5.6% year over year, though it is still in line with the figures we have been seeing since late last summer. Buyers in Milton appear to be split between 2 categories; those hoping to purchase quickly while they have pre-approvals locked in with the old mortgage rules, and those who are uncertain about the future of the market. While the sample size in Milton is small, neighbouring cities with more sales volume (Brampton, Mississauga, Toronto) have been experiencing multiple offers once again, especially with regards to “starter” homes and condos. Surprisingly leases have also been receiving multiple offers, most notably condos in the downtown core. Now may be the time at looking to purchase an investment if you have been considering it. With uncertainty comes opportunity. If you’re looking to make a move this year and come out ahead, we’re always available to sit down with you and come up with a plan that suits your situation.